NYC, 02/13/2019, 7:00PM. The Falconer: A Bad Girl's Coming of Age. A reading and discussion with Dana Czapnik on her new novel. Internationally bestselling author Colum McCann will be joining Dana in conversation. 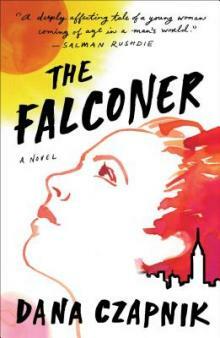 Told in vibrant, quicksilver prose, The Falconer is a “wholly original coming-of-age story” (The New York Times), providing a snapshot of the city and America through the eyes of the children of the baby boomers grappling with privilege and the fading of radical hopes.